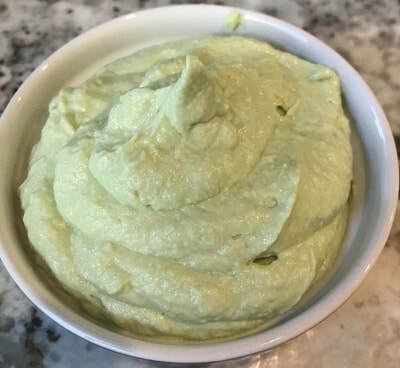 The inspiration for this Avocado Cream was that I was looking for something that was cool to the tongue to temper spicy dishes, but also had a bit of fat for a nice mouthfeel. 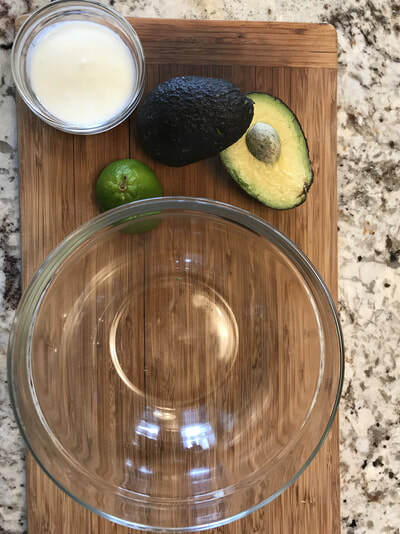 I decided to try putting together two of my favorite ingredients: avocados and cheese. The result was a creamy masterpiece that complements lots of dishes. It can cool down something spicy or serve as a nice spread on hearty piece of toast. The possibilities are endless. Blend until smooth or your desired texture.